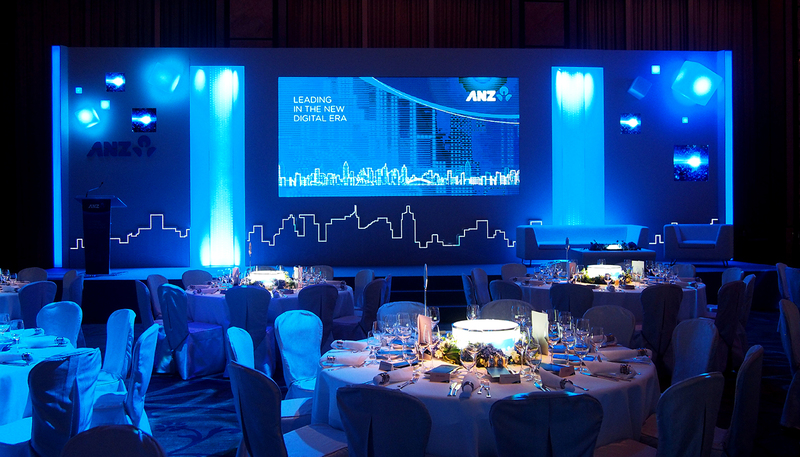 Base Creative organized a night to show the empowerment of technology and digitalization for The Australia and New Zealand Banking Group’s (ANZ) well-attended gala dinner. We provided the set design, event branding, registration, and event management for the dinner. In accordance with the night’s theme – leading into a new digital era – Base Creative incorporated technology into many details of the event. 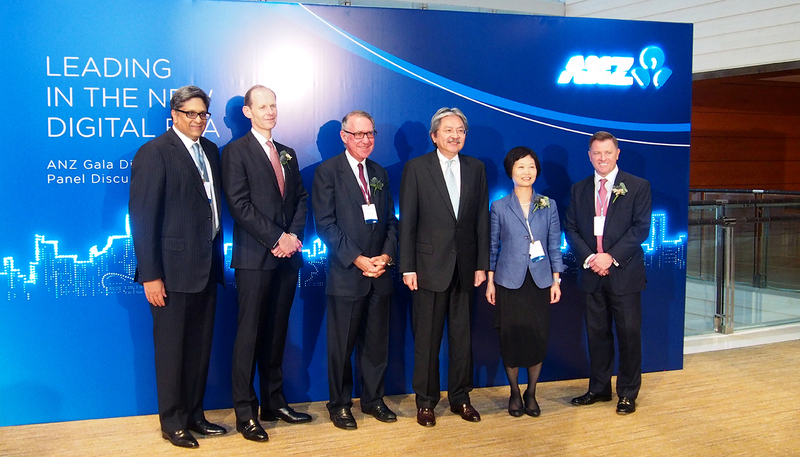 Guests were checked in using iPads with their name tags printed in real time, and they mixed and mingled over fintech-inspired cuisine as distinguished guest John Tsang, Financial Secretary of the Hong Kong SAR, spoke on Hong Kong’s position in technology and finance. The night ended with a panel discussion led by Heather Timmons, Asia Correspondent for Quartz, Isabel Fan of Tesla Motors, and Samhita Jayanti of Palantir Technologies.